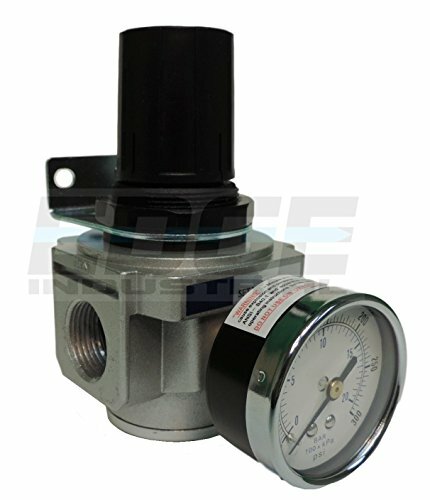 ADJUSTABLE FROM 7 PSI TO 215 PSI, 140 SCFM FLOW RATE A pressure regulator's primary function is to match the flow of gas through the regulator to the demand for gas placed upon it, whilst maintaining a constant output pressure. 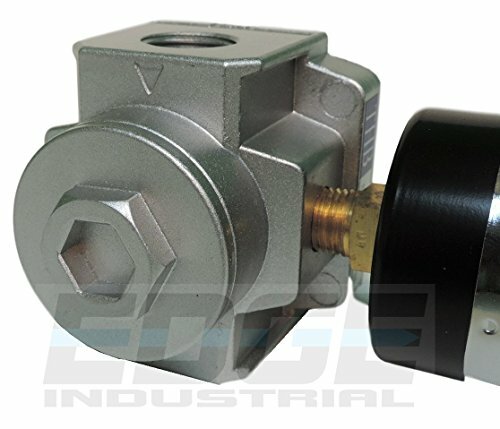 If the load flow decreases, then the regulator flow must decrease also. 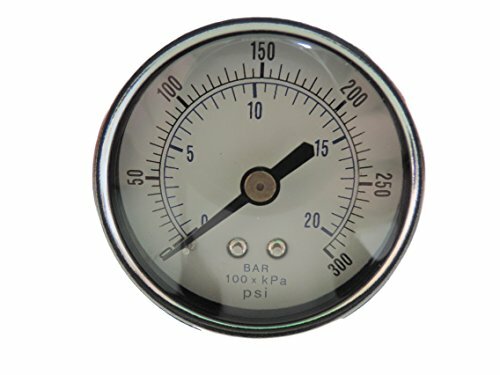 If the load flow increases, then the regulator flow must increase in order to keep the controlled pressure from decreasing due to a shortage of gas in the pressure system. 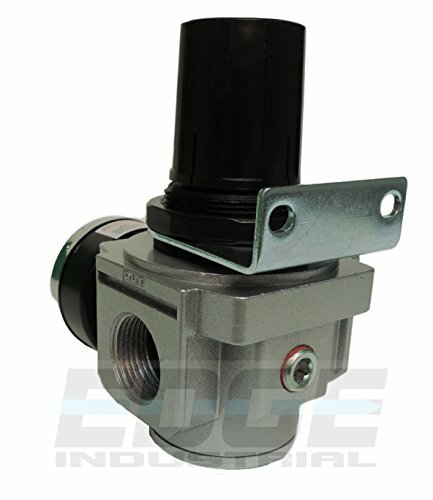 High pressure gas from the supply enters into the regulator through the inlet valve. The gas then enters the body of the regulator, which is controlled by the needle valve. The pressure rises, which pushes the diaphragm, closing the inlet valve to which it is attached, and preventing any more gas from entering the regulator. The outlet side is fitted with a pressure gauge. As gas is drawn from the outlet side, the pressure inside the regulator body falls. The diaphragm is pushed back by the spring and the valve opens, letting more gas in from the supply until equilibrium is reached between the outlet pressure and the spring. 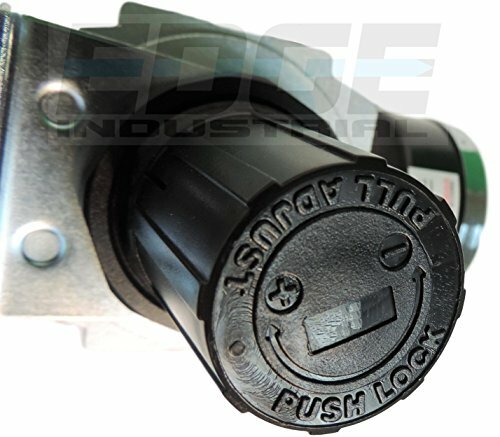 The outlet pressure therefore depends on the spring force, which can be adjusted by means of an adjustment knob.